Value Packs = Free Products! - News - Prestige Pet Products Pty. Ltd.
Value Packs = Free Products! FREE Products you say?! Click Here to request a copy of our Christmas Value Added Bonus Packs today! 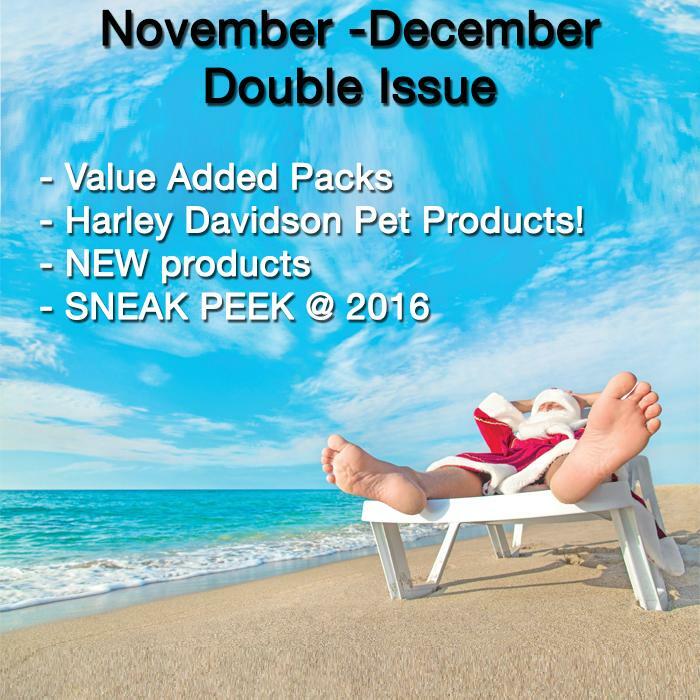 Our November-December Double Issue is packed full of free products*, Harley Davidson, a new Pet of The Month AND a Sneak Peek at what's in store for 2016!